The simplicity of the Kicks (just step on and go, no pedaling, moderate speed), the very affordable price, and the fact that they are used for the short trips we all take so many times every day, make them very useful. Our motorbikes get used a handful of times each day for those trips that you might have otherwise taken an Uber for, but you wanted to get there faster for less money. Our Kicks, especially in Santiago, are being used twice as often, but for much shorter trips. This is really cool for two reasons: First, it shows how the Kicks are complementary to our other shared EVs (motorbikes and bicycles). Second, it shows that sharing a Kick is a really efficient use of a valuable vehicle and battery. 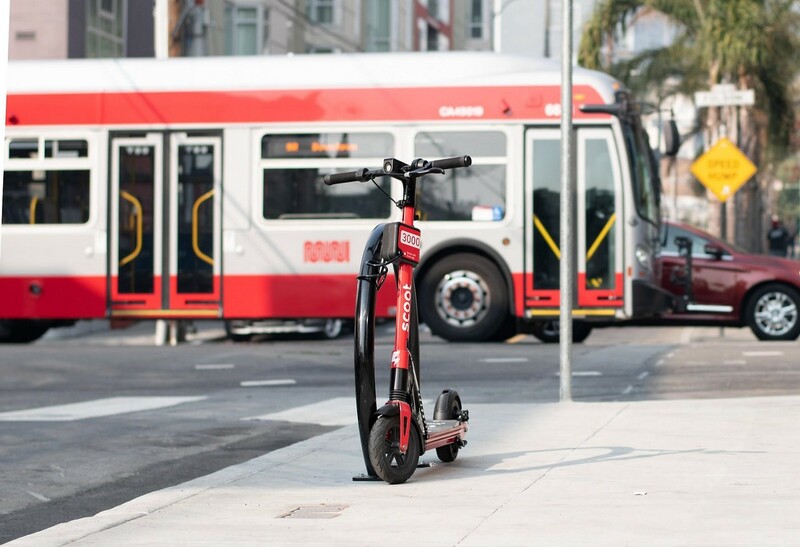 We will bring more Kicks to San Francisco and Santiago under our permits there, and to other cities where Scoot will operate. One of our concerns as we prepared to offer Kicks was whether riders would use them safely. We had seen riders of other shared electric kick scooters behaving in ways that were dangerous to themselves (no helmets, two riders), and dangerous to others (riding on the sidewalk, ditching their scooters in places people could trip over them). We have a lot of experience managing rider safety from our years operating much faster, heavier, shared electric vehicles. We know how to teach riders to ride safely and we know how to hold them accountable when they don’t. We were happy to see that through a combination of instructions in our app and clear communication with our riders about Scoot’s culture of Be Seen, Be Safe, Be Nice, that there have been very few complaints to MTA or directly to us about the kinds of problems that were so common earlier this year. Our goal is zero complaints, so we are listening to the community and correcting our riders who don’t use our Kicks safely, and improving our instructions to avoid unsafe behavior in the future. One thing we were sorry to learn was how often the Kicks are stolen or vandalized. We knew this would be a bigger problem with the Kicks than it is with our motorbikes (which are too heavy to pick up) and our electric bicycles (which have a cable lock to secure them to bike racks). In our first two weeks of operations, over 200 Scoot Kicks were stolen or damaged beyond repair. This is bad for the obvious reason that it reduces the number of Kicks we can offer to our riders. We have a stock of Kicks that is bigger than the number we are allowed to deploy in San Francisco, but we don’t have an unlimited number. We treat our electric vehicles as precious assets that we carefully maintain, recharge, and make available to our riders for as many years as possible so our riders can use them for fast, fun, affordable, green transportation. The idea of putting vehicles on the street just to be stolen or vandalized is antithetical to Scoot’s environmental and civic mission. Fortunately, we have a fix for that: Our shared electric bicycles, which we offer to our riders in Barcelona, have a cable lock that our riders use to attach the bicycle to bike racks so they are harder to steal or move to someplace they shouldn’t be. We started developing a similar lock for our Kicks a few months ago and that lock will be deployed in December. In the interim, we are experimenting with other ways of securing the Kicks so they are there when our riders need them. This will not prevent all theft and vandalism, but it will reduce the rate to one that is sustainable, both operationally and environmentally. It will also have the benefit of keeping Kicks locked to street infrastructure out of the way of pedestrians. We wish we didn’t need this lock but the reality of operating in San Francisco and many other cities is that assets like shared EVs need to be secured so that they can be used. It’s true that shared electric scooters can get so many rides before they are destroyed or stolen that you can make a business plan where you treat them as disposable. 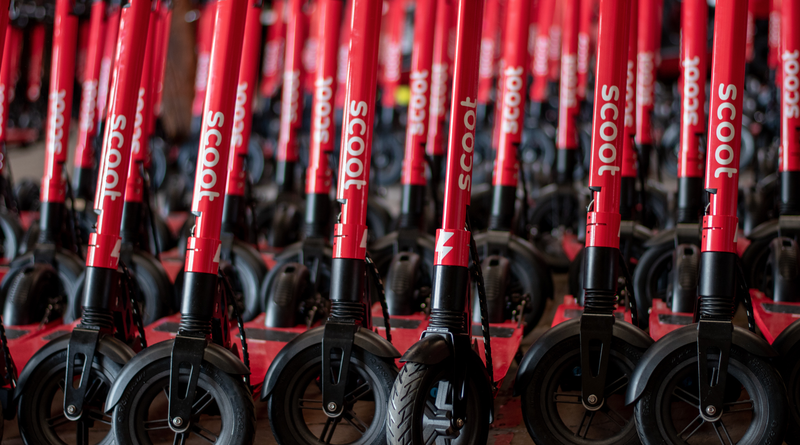 That plan may work with just a few thousand scooters in each city, but that isn’t what Scoot is trying to do. We are building the future of mass transit. Every city that has a subway will also have a network of tens or hundreds of thousands of shared electric vehicles. At the scale of mass transit, shared electric vehicles have to make the cities where they are used more sustainable, not less. That means managing them well, and building them to last. So that’s what we will do. Founder @scootnetworks. Electric Vehicles for Everyone.